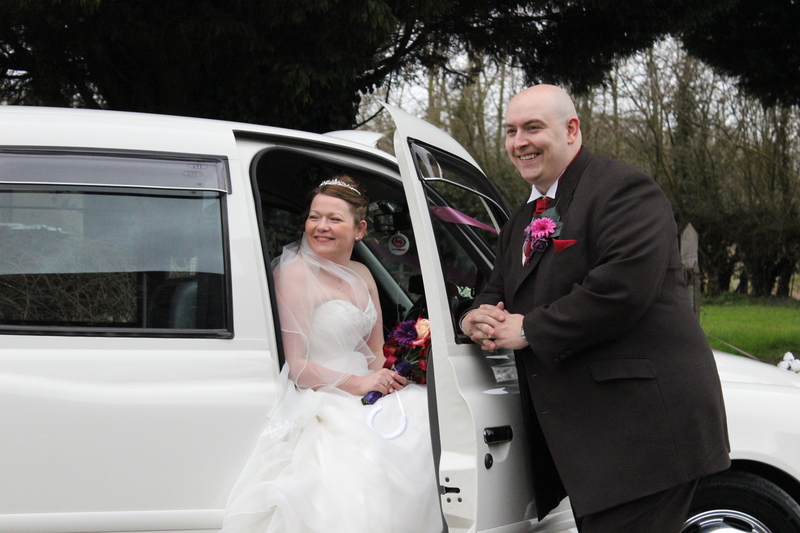 On Saturday Ian and myself travelled up to Bishops Stortford to undertake a fellow Taxi drivers wedding. 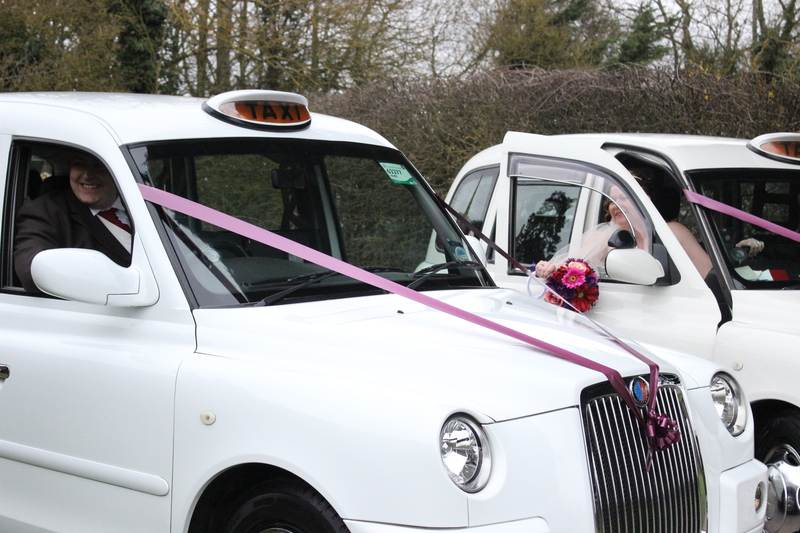 As the weather forecast was heavy rain we arrived early and parked up in a nearby services to makes sure the Taxis were spotlessly clean and to decorate them with the ribbons and flowers. 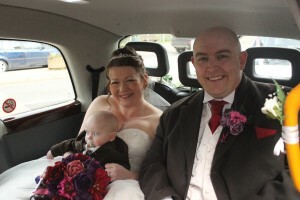 We need not have worried about the weather as the sun shone brightly on Stephanie the blushing bride as she stepped out of her house and into the taxi. Steph was quite nervous once she was in the Taxi but I managed to calm her nerves before we arrived at the register office. About 45 minutes later the Happy Couple emerged from the register office for a few photographs before we wished them away to their reception venue. 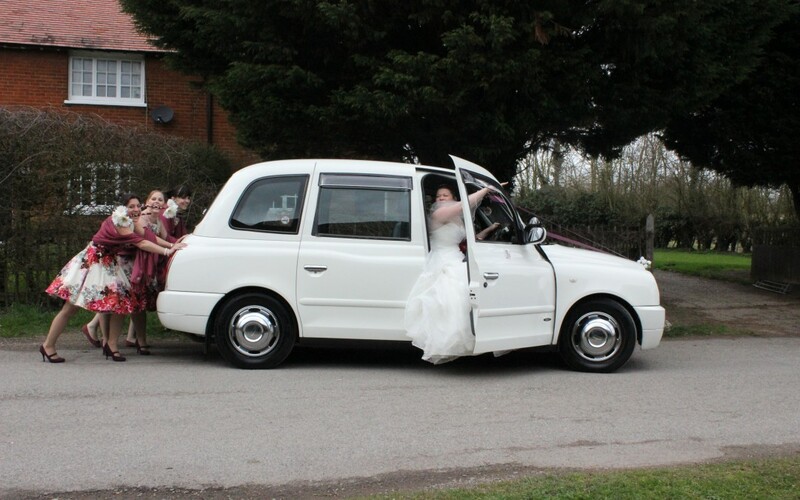 Once at the venue the photographer had a bit of fun with Mike & Steph in the taxis taking various shots of them in the drivers seats and also one which I suggested of Steph in the drivers seat with the bridesmaids pretending to push the taxi. Mike & Steph were full of smiles and happiness on the day and they make a lovely couple. We at Wedding Taxis would like to wish them all the best for the future.